Anglophiles might think the term "flat" has a quaint, British ring to it—indeed, the BBC has noted an uptick in American agents marketing apartments as flats to add a touch of across-the-pond cachet. It wasn't always so. In fact, Americans first adopted the term "apartment" in an effort to make this new style of home sound more upscale than its European analog. Naturally, apartment-style housing in the U.S. originated in New York City. As podcasters The Bowery Boys reported in an episode on the city's first-ever apartment building, the Stuyvesant, by the mid-19th century, New York City housing largely consisted of mansions and row houses, both of which were getting exorbitantly expensive; tenements, which crammed in tons of residents in poor conditions; and hotels and boarding houses set up for well-off single people. All of which meant that there weren't any particularly inviting options for the emerging middle class. As the Bowery Boys point out, many influential architects of the era had studied in Paris at the renowned École des Beaux-Arts, and during their time abroad, had been exposed to apartment-style living, an epiphany that led to the coining of the term "French flat," as well as usage of an Americanized version of the French appartement. Architects also used the term "Parisian building" to warm New Yorkers up to the idea of an apartment building. 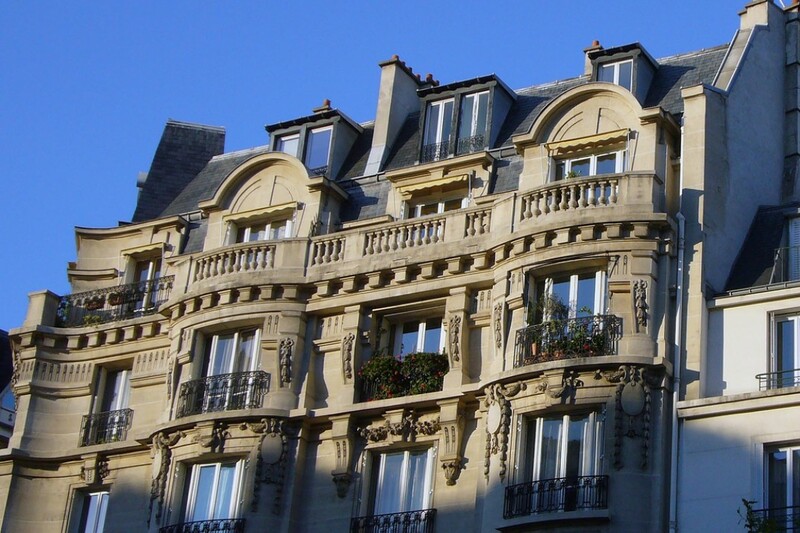 But besides the fact that everything just sounds fancier in French, there was a natural reason for American builders to gravitate toward the term "apartment." When Rutherford Stuyvesant decided to build the city's first official apartment building at 142 East 18th St. it alternately became known as the Stuyvesant Flats and the Stuyvesant Apartments. The building was an immediate success and led to many others in the following years (including the first co-op buildings), and by the 1870s, "French flat" was a bona fide housing category used by building inspectors. But since there was still some lingering high-society disdain for the supposedly vulgar living arrangement that flats offered, "French flat" quickly morphed into the more upscale sounding "apartment." In Life at the Dakota: New York's Most Unusual Address, author Stephen Birmingham writes that while the Stuyvesant was an immediate success, "It was noted, however, that residents of the Stuyvesant were careful to refer to their homes as apartments, not 'flats.'" The Stuyvesant's triumph soon led to a proliferation of other buildings comprised of French flats, but as Birmingham points out, when a building called The Spanish Flats launched on Seventh Avenue, "The stigma of the term 'flats' still remained[...] and the Spanish Flats was soon renamed the Central Park Apartments." And so went the trend for the rest of the industry moving forward. So really, flats, French flats, and apartments, are all simply different terms for the exact same type of housing product, proving that even as far back as the 19th century, New York developers knew the importance of branding. 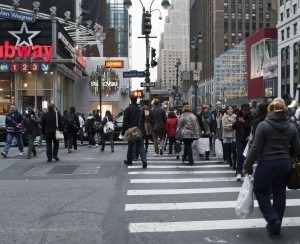 Does France have the solution for cash-strapped NYC buyers? Why do New Yorkers pay broker fees—and could we ever get rid of them?